God of War: Ascension is getting Best Buy-exclusive, Viking-flavored DLC. With God of War: Ascension hitting stores on March 12th, Sony has put out a new trailer and demo for the latest chapter in its popular franchise. The game has been billed as being a more sympathetic look at the character of Kratos, who tends to be known for more merciless slaughter and gratuitous orgies. While the game aims to show us a kinder side to Kratos, the trailer looks like classic God of War. We get a few snippets of the story and a whole lot of Kratos doing what he does best, brutally murdering mythological creatures. 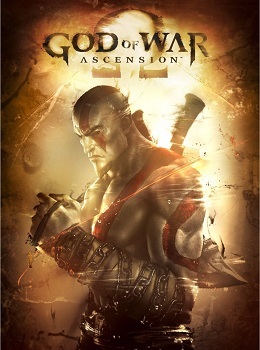 Meanwhile, the demo, which will give players a chance to dive into the game's opening, in which Kratos must escape the Prison of the Damned, will be available to all PlayStation Network members. Sony also announced new DLC for the game's multiplayer, made in partnership with History Channel to help promote its upcoming series Vikings. The DLC will allow players to bring Viking-themed weaponry into battle, including Mjolnir, the Hammer of Thor. It will also unlock unique armor sets that can be used in multiplayer. The Viking DLC is exclusive to copies of Ascension purchased at Best Buy. I personally love the God of War games. Kratos for me is a personification of the inner toddler that exists inside all of us. He doesn't care about motives, morals or even common sense. He just wants to smash things. Even so, I've grown less enthusiastic about God of War as the series has expanded. I'm really hoping that Ascension is able to capture the gleefully destructive qualities that have made the franchise such a joy. Either way, I look forward to another chance to rip the wings off of some harpies.